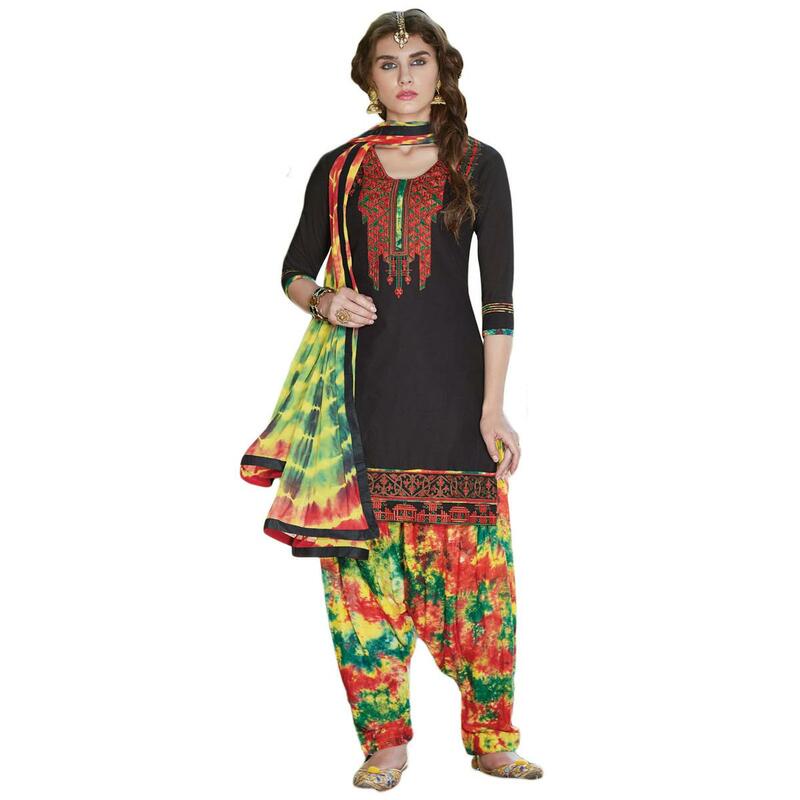 Be the center of attraction with this beautiful black colored embroidered dress material. The top is made of cotton which is stylized with beautiful embroidery. Comes along with printed cotton bottom along with printed chiffon dupatta all synchronized well with the latest trend and style. Get this unstitched suit stitched as per your desired fit and comfort. This outfit is perfect to wear at weekend get-together,office wear and casual outings. Team this suit with ethnic accessories and high heel for a complete look and fetch compliments for your rich sense of style. Length Chest upto 34 - 42 inches and length upto 44 - 46 inches.